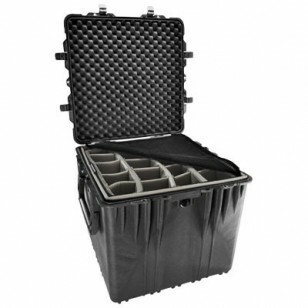 The Pelican 0370 Cube Case is designed for protecting and transporting large valuable items and equipment. This Pelican Box is virtually unbreakable and totally guaranteed to be airtight and waterproof. The 1/4" o-ring seal includes a pressure release valve for adjusting atmospheric pressure changes. The Pelican waterproof case includes the padded divider set to protected your items. The padded divider set is extremely versatile: you can change the sizes of each compartment as necessary. 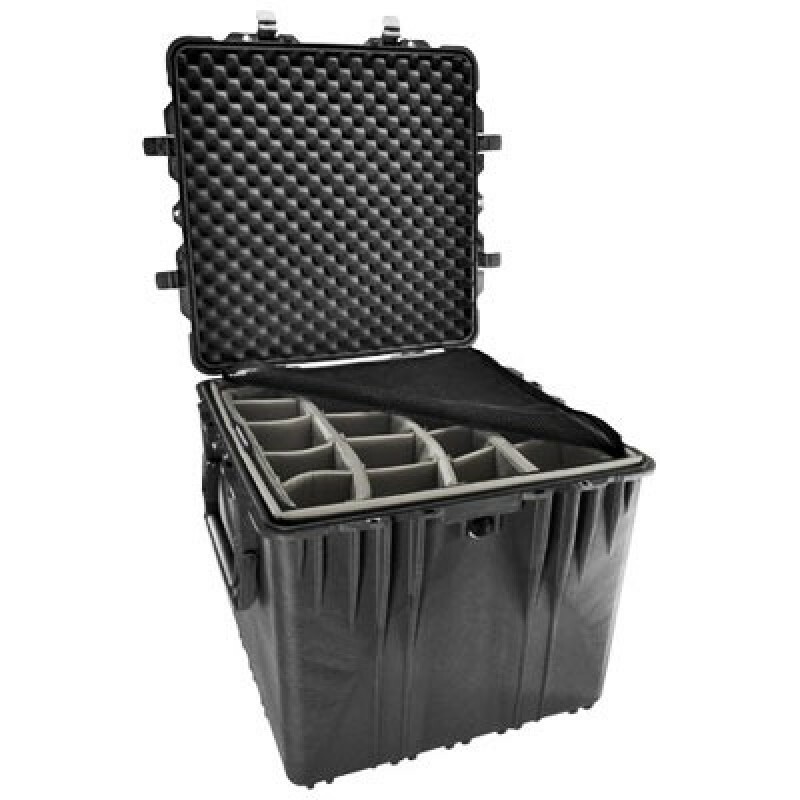 Pelican 0374 Cube Cases are ideal for storing "deep and wide" items. 26.50" x 26.50" x 25.25"